Make sure your vehicle fleet is ready for the new Federal Motor Carrier Safety Administration (FMCSA) rule mandating the use of Electronic Logging Devices (ELDs) using the information in this tipsheet! 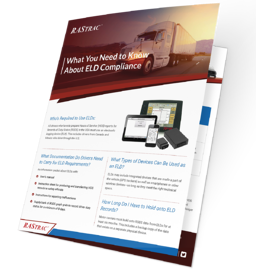 Don’t get blindsided when the FMCSA starts enforcing the new ELD rule. Get your FREE tipsheet by filling out the form to the right!